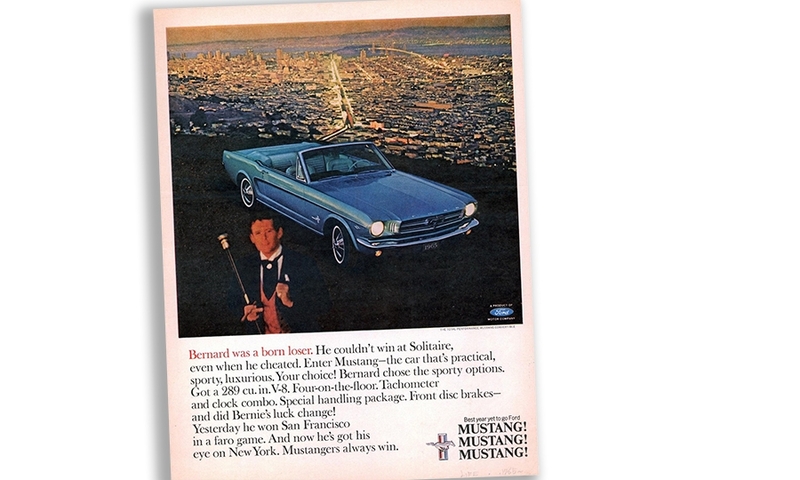 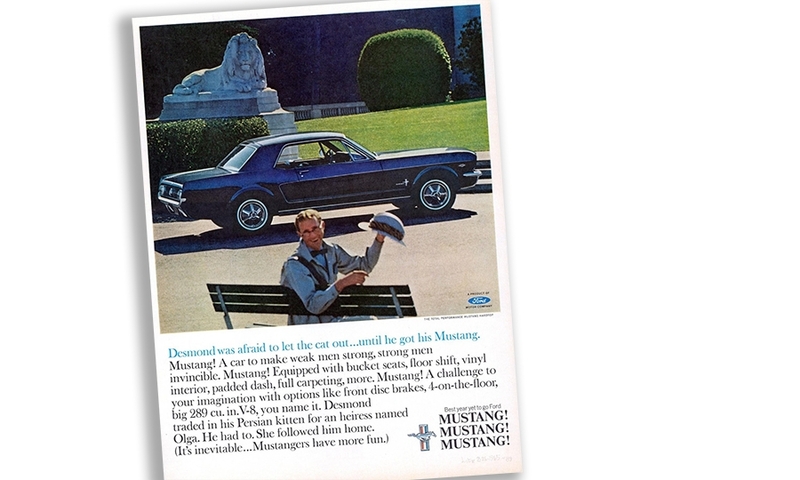 When the Ford Mustang debuted, it came out in style. 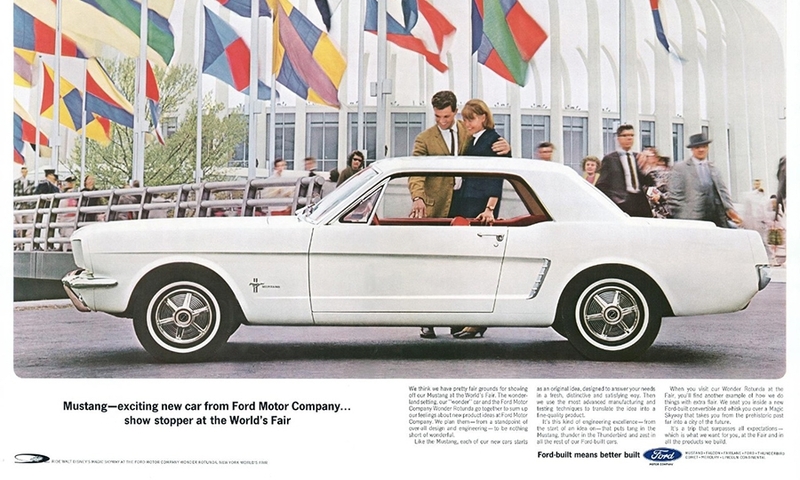 It was proudly displayed at the 1964 New York World's Fair, and showcased at dealerships across the country the same day for Americans, especially the young, to see. 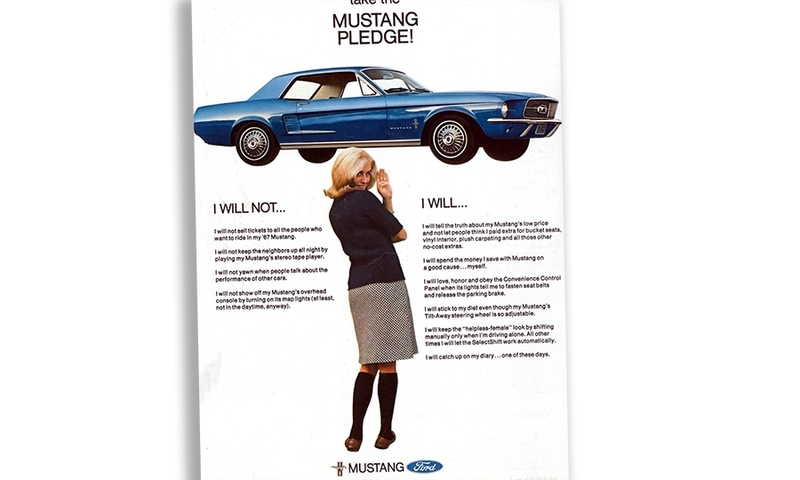 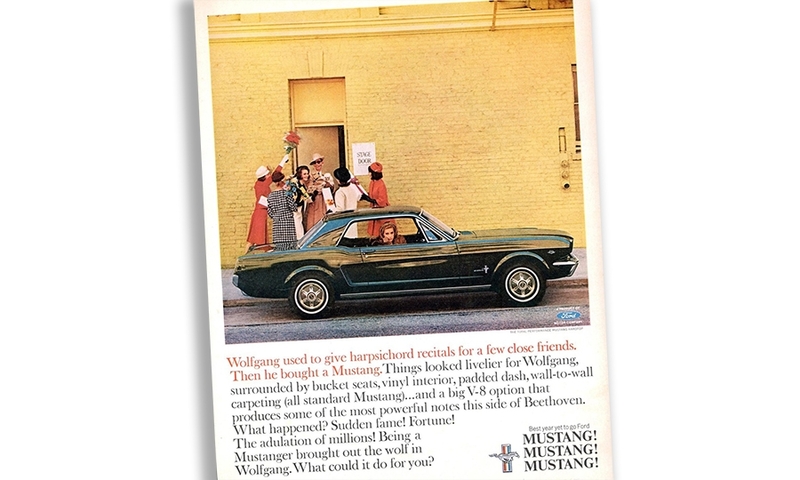 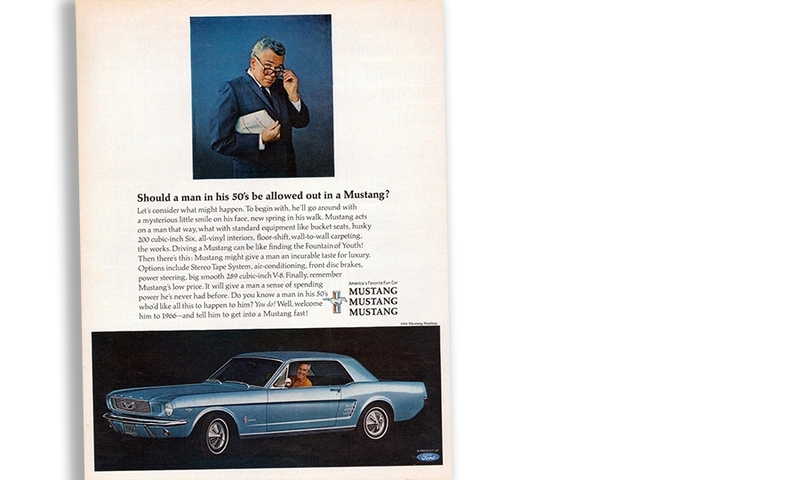 Mustang ads from the 1960s pitched not only the pony car's attributes — sporty styling, standard bucket seats, V-6 engine, padded dash, floor shifter and “wall-to-wall” carpeting chief among them — but the idea that owning a Mustang could turn even a dullard into the life of the party. 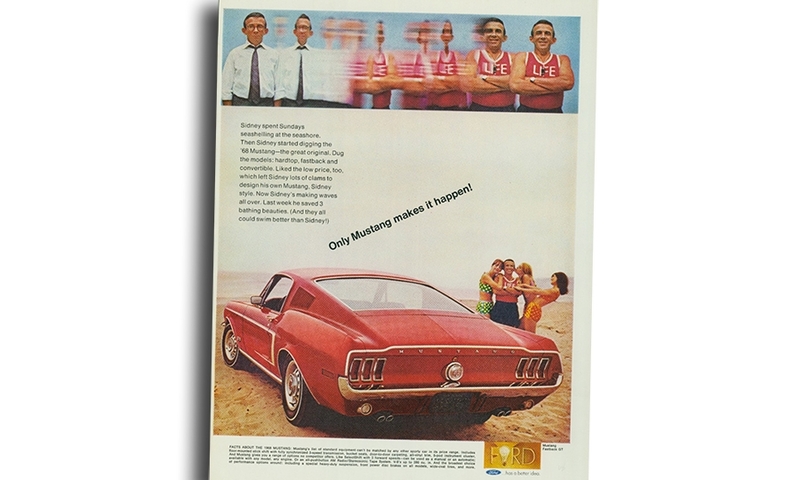 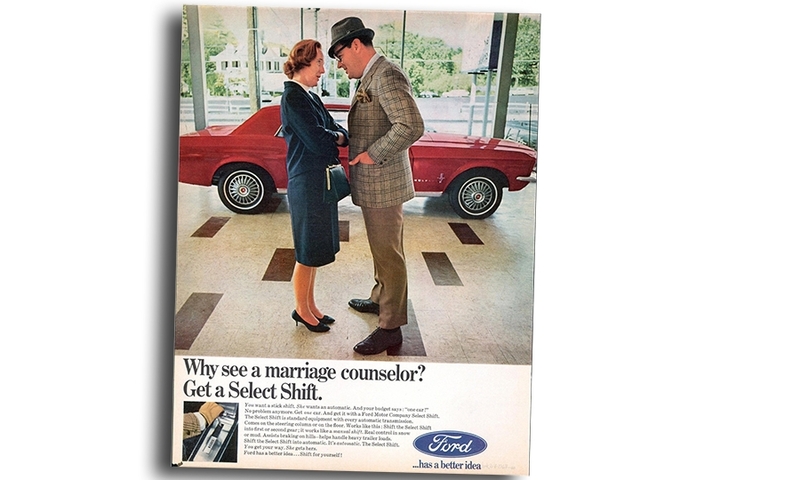 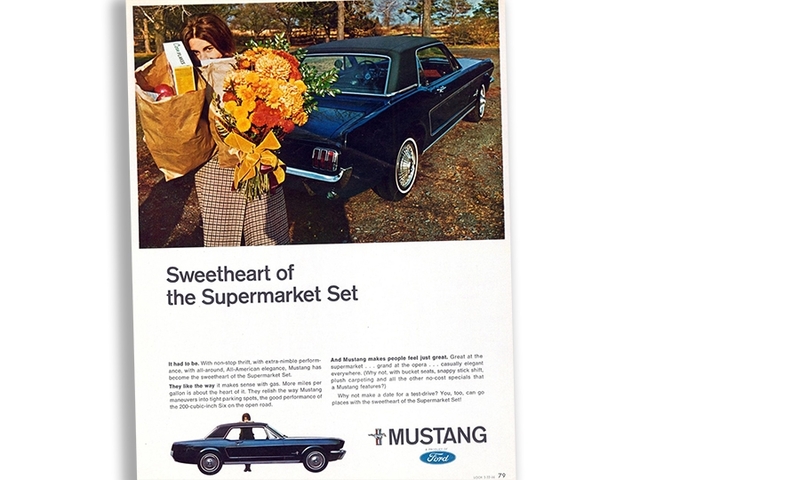 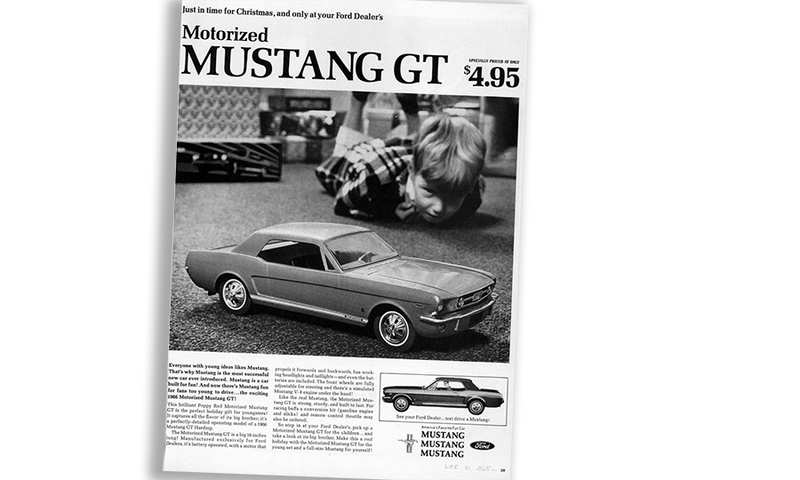 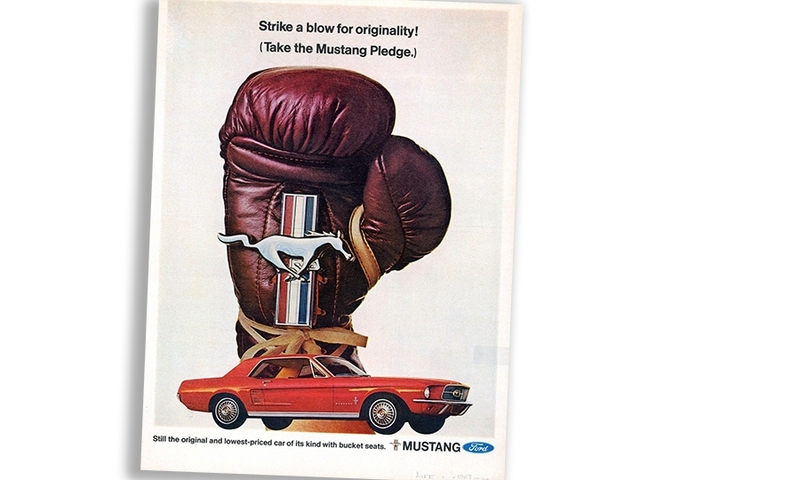 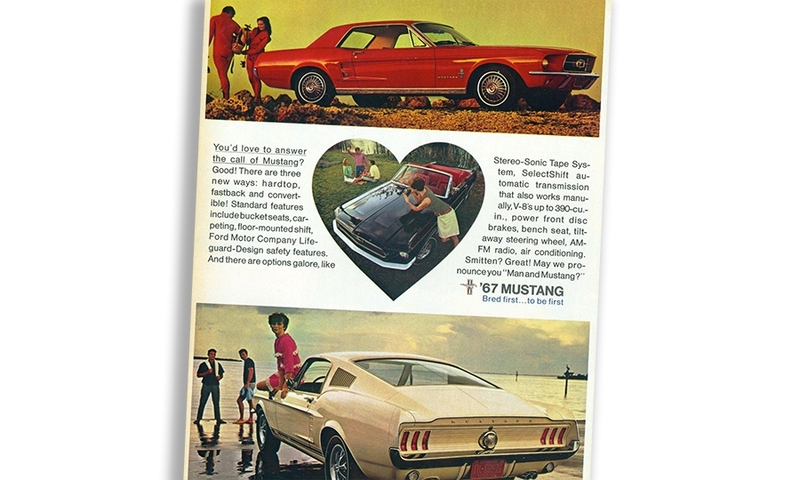 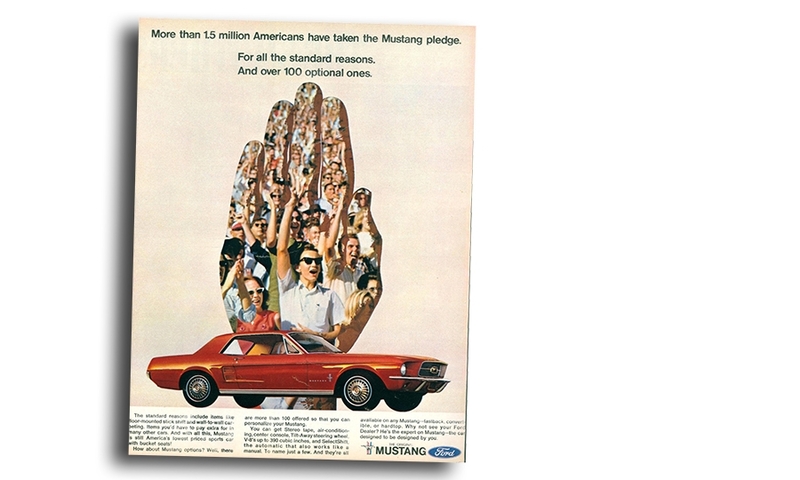 So sit back, crank up some of The Fab Four, and click through our gallery to get a taste of vintage Mustang ads.